Help strengthen the body through resistance work. Contains 5 loop resistance bands of 10″ by 2″. 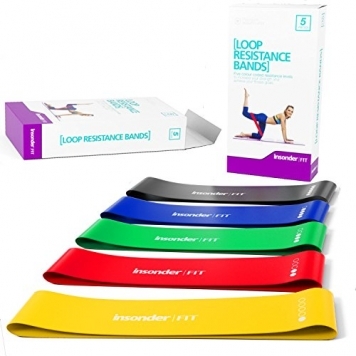 Choose 1 of 5 colour coded bands for different stretch levels: Extra Light, Light, Medium, Heavy and Extra Heavy. Made of premium and eco-friendly latex.